The title of this film tells me two things about the main character: one, he is under a great deal of stress; two, he probably doesn’t keep girlfriends for long. 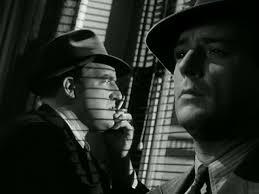 But seriously, folks, this is a nifty film noir, one of the earliest, in which pretty much everything works. 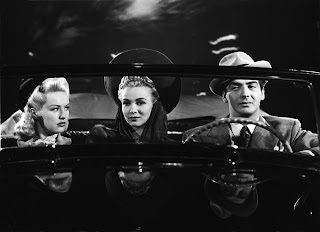 The story is about a sports promoter (Victor Mature) who is the prime – only – suspect in the murder of a beautiful young former waitress (Carole Landis) whom he was lifting to celebrity. On his side is the victim’s sister (Betty Grable) who, reluctantly, has fallen in love with Mature. Against him is the unstoppable veteran detective (Laird Cregar) heading the inquiry. The writing here is better than I expected, with time taken – but not wasted – to build characters, and with humour added to lighten - but not change - the mood. The mystery of who killed Landis is given more than one plot-twist, and even when the murderer’s identity is revealed, there is another surprise that is as logical as it is unexpected. Just as important to I Wake Up Screaming is the acting, making the characters real. Mature begins cocky, but reveals himself as a poor boy made good, someone who enjoys the luxuries he has won for himself but remains loyal to his old neighbourhood. Though his character lives largely at night clubs and sporting events, Mature leaves no doubt that he is a good match for the quiet, shy Grable. Pin-up girl and superstar Grable is equally convincing as the cautious heroine; the chemistry she and Mature share makes their conversations, and especially their humour, realistic. But it is often the secondary actors who come to the fore in movies, and here Laird Cregar shoulders his ample size to notice. His detective embodies menace which, at first, is assumed to be directed at any evil-doer. It is only later that the viewer sees that his doggedness in pursuit of Mature has become obsession. 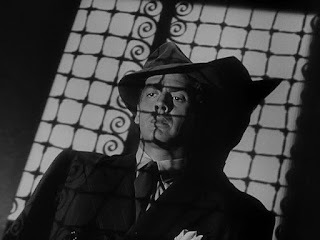 The creepiness that he exudes is only assisted by the lighting used; for the most part, it is all Cregar and, despite his frightening fanaticism, he manages eventually to create pity for his unlikeable character. Also on hand are Elisha Cook in an early role, displaying an unsettling nervousness, and Allyn Joslyn and Alan Mowbray as Mature’s pals, both of whom give their characters unanticipated pathos. I Wake Up Screaming was re-made twelve years later as Vicki. I don’t care for re-makes on principle and have not seen Vicki, but it would have to go some distance to improve on this effective film noir that was simply done right. I remember seeing this on TV years ago when I was a kid. 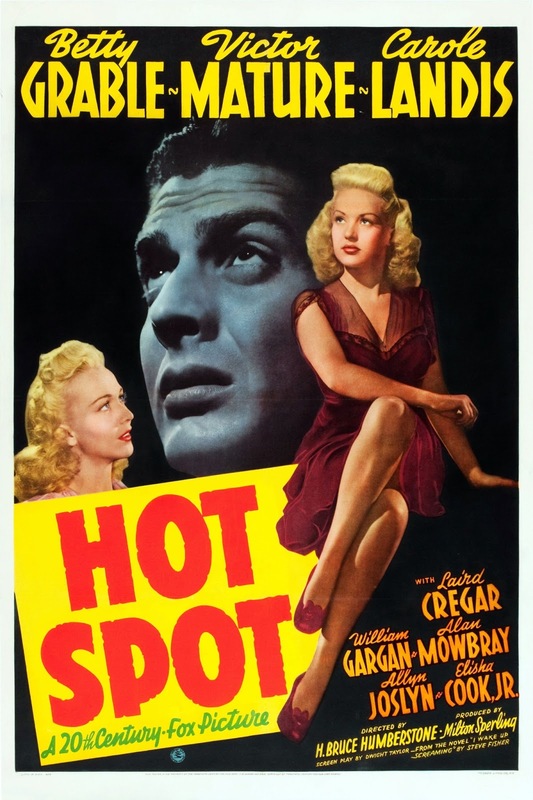 (My grandmother ADORED Victor Mature, so she wanted to see it.) As I recall, it really was pretty good. If I can find it online, I'd like to watch it again.